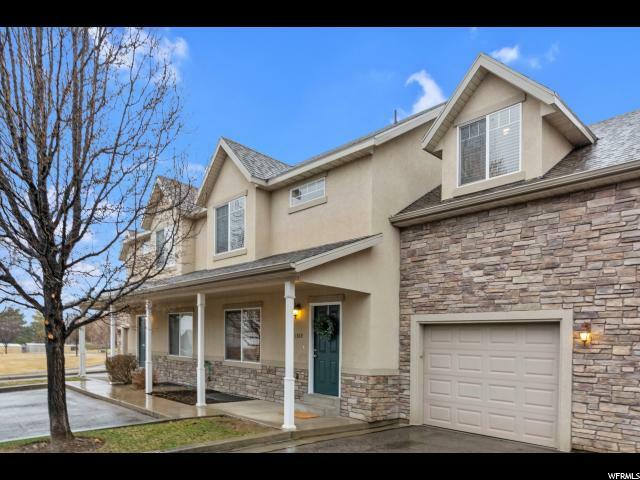 All COOPERS HOLLOW HOA homes currently listed for sale in Lehi as of 04/18/2019 are shown below. You can change the search criteria at any time by pressing the 'Change Search' button below. "Beautiful, spacious townhouse in desirable Lehi neighborhood. Featuring hand scraped maple flooring, finished basement with plenty of storage space, walk-in master closet, and large bonus room. Enjoy a huge backyard area with a great sledding/slip-n-slide hill, lots of community green space, neighborhood playgrounds, and easy access to I-15. Extremely desirable location! Close to everything while also secluded with low traffic. Square footage figures are provided as a courtesy estimate only. Buyer is advised to obtain an independent measurement."